We just put out a major press release about the SMB Online Conference June 26-28. One of our speakers, Stuart Selbst, is a business coach specializing in the SMB market. Stuart will talk about measuring the success of your business . . . and more. All of our amazing speakers have great topics - and we have some speakers I guarantee you've never heard before. Sacramento, CA, June 20, 2012 – Technology author Karl Palachuk announced that Stuart Selbst – long-time business coach for small IT companies – will be a featured speaker at the first major Online Conference for Small Business IT Consultants, Managing for Success 2012 in June, hosted by Small Biz Thoughts. Selbst message is very powerful: Small IT firms need to track and measure their progress if they wish to succeed in the long term. 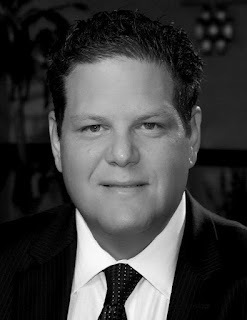 Stuart Selbst is a well-respected industry leader, speaker, business coach and the President/CEO of Stuart Selbst Consulting, a consulting firm that offers executive level business coaching for Managed Service Providers and Value Added Resellers. After he started, built and sold a very successful Manage IT Services practice, Stuart has worked with hundreds of MSPs, VARs and system integration firms over the years to help them grow their business and increase profitability and staff productivity. Selbst is widely respected in the SMB consulting community. In 2009, 2010 and again in 2011, Stuart was named to the "MSP Mentor 250," an annual listing of executives and leaders shaping the Managed Services business and industry. In 2010, Stuart was endorsed by the MSP Alliance as a Business Advisor and in 2010 and 2011 was named as an Autotask MVP. Selbst was awarded the Best Member Blog award at the Autotask Community Live 2010 conference and has had articles published in a number of industry journals. He has been named to the SMB Nation Top 150 Influencers in 2011 and 2012. Other conference speakers include Stephanie Chandler and George Sierchio. Chandler is the author of seven books, including Own Your Niche on the Internet and Beyond (Authority Publishing, 2012). Her Business Info Guide web site – www.BusinessInfoGuide.com – is an extremely popular destination for small business owners. Sierchio is an entrepreneurial veteran who has owned and operated several successful services and consulting businesses in the last twenty years. The conference is “virtual” (online only) and will run 9:00 AM to 4:00 PM each day on June 26-28, 2012. Attendees can choose to listen live or also have access to the recorded sessions. In all, the conference will broadcast eighteen hours of programming in three days. Primary sponsors of the SMB Online Conference include Autotask Corporation, the world's leading hosted IT business management software to streamline and optimize business processes for technology solution providers. Stuart Selbst Consulting works with consulting companies of all sizes. They work to align sales and marketing together with business processes and the practice of goal setting to achieve individual and team success. He coaches businesses of all sizes, from start up to very well established. Typical growth is over 75% annually in new recurring revenue. Some clients have seen 200% and 300% recurring revenue growth. For more information, visit www.stuartselbst.com. Visit Selbst’s blog at http://mspcoaching.com and his YouTube channel at www.youtube.com/mspcoaching. Autotask Corporation provides the world's leading hosted IT business management software to streamline and optimize business processes for technology solution providers. Autotask is accessible from virtually any computing or mobile device connected to the Internet and features a world-class API that seamlessly integrates with the other systems and tools that providers rely on to run their businesses. For more information on Autotask Corporation, visit www.autotask.com.